KK born in 2005 searching about beauty that each place hides, following contaminations and refusing banal approach that flattens everything. 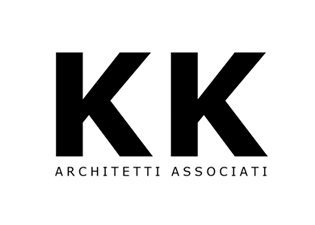 KK ARCHITETTI ASSOCIATI has won numerous prizes in national and international competitions; 2009 >1° prize _Commugny Center _Switzerland, 2009 > Abbadia Lariana_invited, 2010>1° PRIZE>Recupero edificio industriale ex bricchettificio. San Giovanni Valdarno 2009> Edificio Polifunzionale_ Valsavarenche_shortlist > 2008>1° prize _ Residential Complex_La Spezia, 2007>1° prize_Residential Complex_ Perugia Lotto A1 Monteluce, 2006> invited Waterfront La Spezia,2005>2°prize>ResidentialComplex_Grosseto, 2005>mentioned >riqualification of a historical building > Alessandria. KK ARCHITETTI ASSOCIATI: SIMONE MOGGIA, TIZIANA D'ANGELANTONIO, GIULIO PONS.